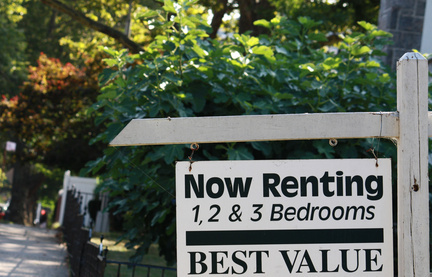 Rental advertising does more than fill a vacancy–it can actually help you screen tenants. Using the principle “like attracts like”, a landlord can send a message that will resonate with the good applicants, and scare off the bad ones. The trick is to make the applicants do some of the work. If you use hearts, squiggly lines or smiley faces in your ads in an attempt to appear friendly, you likely will attract someone who has no respect for your authority as a landlord. Likewise, if your terms are vague or open to negotiation, you may attract an indecisive applicant who pays late. 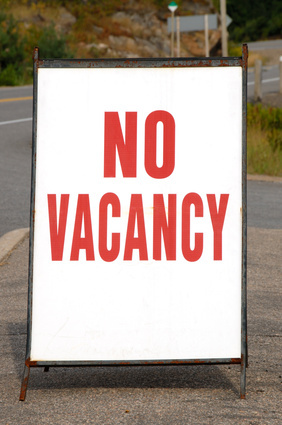 A sloppy, faded or only partly legible rental sign could land you an applicant who doesn’t like to clean — after all, you set the stage. If you want a conscientious applicant who follows the rules, lead with an ad that looks crisp and professional –not one that cuts corners. What Sort of Content Will Appear Alongside Your Ad? You’ve heard of guilt by association. That principle can apply to ads. Before placing an ad in a publication, online service or community bulletin board, take a quick look at the overall content, and review the section where your ad will appear. Be mindful of the demographic the publication caters to and stick with the reputable services. Newspaper ads are notoriously expensive, especially the ones that charge per character or per line. Landlords feel pressured to leave out pertinent information. The result: a barrage of calls from unqualified applicants. The more unqualified people who call, the more likely one will make it through. You want to include enough content in an ad to filter out applicants who aren’t a fit. Include the price, the location, the size and the best amenities. Do not invite negotiations in the ad– leave that for one-on-one conversations. You can actually attract good tenants–and discourage bad ones, with a statement that you require a tenant background check and references. If you can’t afford to get all that in a newspaper ad, consider other options. Many landlords have success with a simple, preprinted “For Rent” sign supplemented with a customized flyer. Weather resistant flyer boxes are cheap, and the see-through variety showcase any photos you might want to include. It’s easy to create a professional-looking flyer that contains all your necessary terms and sends the right message. If you’ve had successful tenancies, find out from your tenants where they searched for ads. You can also ask tenants to refer friends, or if you own multiple units, promote an upcoming vacancy to existing tenants. Applicants like online ads for a number of reasons. It’s easier to read ads online. Viewers can find a map and research the surrounding area at the same time. It’s also possible to view a large number of listings all at once, comparing prices. Make sure your online ad is published into the right category and is easy to search. Your ad should include the keywords that an applicant would type in to do an Internet search –“Downtown Vancouver Apartment for Rent”, for instance. Remember to let applicants prequalify themselves by including the price terms, size and location of the property. Create some anticipation to get the applicant to act right away. That can be as simple as “call today” or “just listed”. That may seem like sales hype to you, but it does work. Applicants who are serious about the rental search will call, and those who aren’t won’t. There is a lot riding on your rental ads. Taking the time to attract the right pool of applicants can go a long way towards gaining a profitable tenancy. Thanks for this informative article Chris. All of this is good advice. In the past, I’ve mainly used craigslist or Kijiji (I prefer the latter myself) and it seems the majority of renters in my area use these tools to find apartments. However, I found my own apartment through a “for rent” sign in the window so that may be a useful tactic, especially if your unit is on a high-traffic street. I’ve never used a For Rent sign in the window, because I really prefer to pre-screen tenants before they show up at the door. I write extremely specific ads detailing the neighborhood, the building and the type of renter we’re looking for. I have used lines like “Other tenants in the building are hard working, respectful individuals who need a good night’s rest. Definitely not a party building.” Or, “One cat ok, but no dogs. Please don’t even ask.” I ask tenants to respond via email telling me a bit about themselves. (I don’t respond to those who don’t do that.) Then before I offer an appointment to view (within a two-hour time frame so applicants can see there are others interested in the unit), I google the prospective tenant and am almost always able to verify a lot of the information they’ve told me. Even facebook can be a good friend. Some people are incredibly indiscriminate with their photos on facebook and that already tells you something about them.